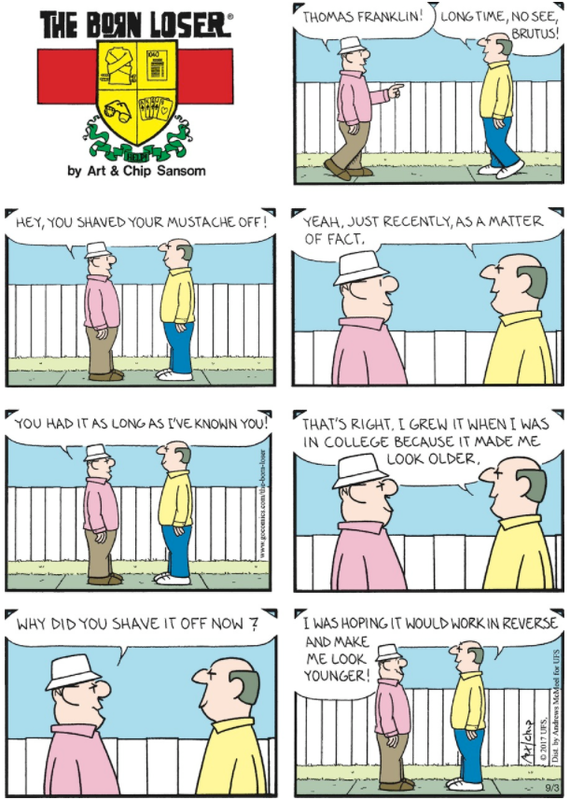 I don't think I've ever seen anyone in this comic strip with a mustache, except for Brutus but that small hair coming from his nose barely qualifies as a mustache. Upon further research, it turns out that Veeblefester has a mustache too but it is also just a small hair coming from the nose. I guess neither Art nor Chip can draw an actual mustache.